The Princess AquaClip Cabochon inspires attachment in more than one way! 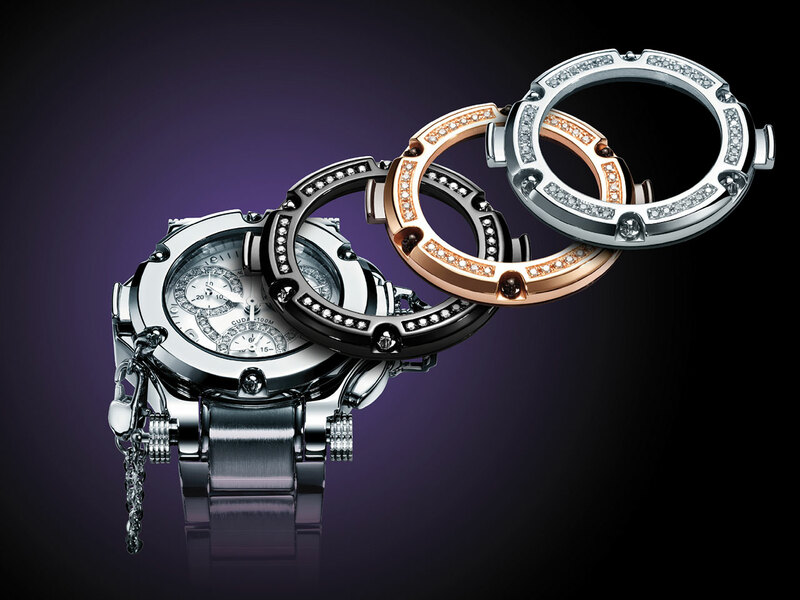 This exclusively feminine collection by Aquanautic is distinguished by its interchangeable and adaptable bezel and mask. With a click and a clip, the precision mechanism appears housed in an understated model, a sparkling creation or an ultra-glamorous chronograph. Versatile but never futile, the timepiece hooked on the aquatic world never loses sight of its primary function which is to measure short times in all circumstances, while maintaining its aesthetic appeal. The gemset mother-of-pearl dial, the polished case middle and the crown set with a cabochon are a wealth of details denoting the Aquanautic signature – also in evidence on the propeller-shaped seconds hand. A bold statement of style and sophistication, the Princess AquaClip invites the touch of an owner who will doubtless never wish to be parted from it!